The most important tool of the landscape photographer, aside from the camera itself, is the tripod. But sometimes, one leg is better than three. How many of you own a monopod ??? “Well, of course I do,” I thought to myself. But I realized that, as with so many things I mention on my blog, what is self-evident to me isn’t to everyone. And more likely, hasn’t always been that easy for me to see. Since half (or more) of the reason I write these posts is to share the knowledge I’m building in my photographic journey — so others can learn from my mistakes, benefit from my experience, and generally find answers more easily to questions I’ve struggled to answer myself — I realized this was a candidate for a post. So yes, I own a monopod. And while I use it somewhat infrequently, when I do it’s exactly the right tool for the job. I don’t have a lot of gear recommendations on this front. I think anything sturdy enough for your camera and tall enough for your eyes is probably just fine. I’d even hesitate to recommend shelling out a lot of green for titanium or carbon fiber, because my aluminum monopod still weighs less than my carbon-fiber tripod. I have a Manfrotto 679B monopod with a Manfrotto 234RC tilt head, and a Manfrotto 055XPROB tripod with a Manfrotto 498RC2 mini ball head. Both heads use the same Manfrotto 200PL-14 quick-release plates for easy swapping. If you’ve clicked the links above, you can see my monopod and head are about the cheapest Manfrotto offers, and I bought them for the rugged durability and high weight capacity. For many applications you could get by just fine with a really cheap one (ask photo-buddy Craig Pindell about his $20 carbon fiber monopod). Now we’ve got the gear questions out of the way, let’s get to the functionality. Which mostly mirrored my answer on Twitter. I also added wildlife photography to the list. Not the kind where you sit in a duck blind waiting for a Heffalump to drink from the perfect spot on the shore, but the kind where you’re just out in nature and you know there are Woozles likely to bound across your path. But really, it’s not just about what your subject is. It’s about your equipment and movement. I primarily use my monopod with my 300mm lenses — the 300mm f/4 SMC Pentax 67 on my Pentax 6×7 and the 300mm f/4.5 Nikkor-H Auto on my Nikon F2. Both are heavy combinations, and the Pentax in particular is very hard to hold steady with even my ogre-sized hands alone. I don’t often photograph sports, but I do sometimes try to photograph wildlife. Even without the wildlife, the compression and perspective offered by the 300mm lens are occasionally desirable. I ran into 20-year veteran Denver Post photojournalist Andy Cross while thinking about this post and asked his thoughts. “It’s all about those bigger lenses,” he said. Heavy glass is harder to hold steady with your hands alone, and greater focal lengths amplify every minute movement into blur. 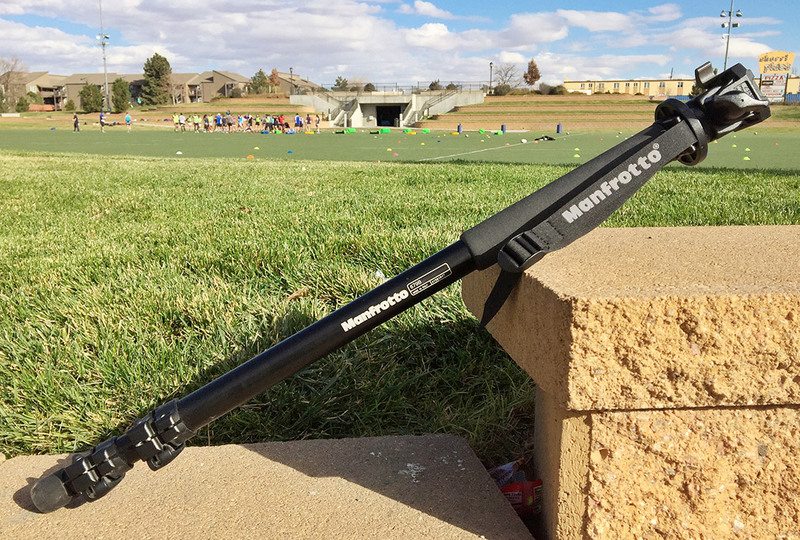 A monopod is a quick and highly portable way to improve stability. Cross also pointed out that it’s an important tool for balancing a bulky camera-lens combination on your shoulder when you have to move quickly. As with most other respondents to the original tweet, sports and some wildlife situations were the focus of my discussion with Cross. Tripods aren’t allowed on the sidelines in NFL stadiums for safety reasons, anyway, Cross said. And they are barred or very limited at most other sporting events, as well. Even concerts often prohibit tripods for space and safety reasons. One situation I hadn’t thought of that Cross brought up was during political events. Whether covering the arrival of a dignitary at the airport, or just following a speech or rally, a monopod is more versatile than a tripod for moving between angles and positions quickly. Not to mention critical when you’re crammed on a tiny riser with dozens of other photojournalists and videographers. For landscapes, go for a three-legged support. The scenery isn’t moving fast enough for you to need the extra mobility of a monopod, and while a monopod can add enough stability for long-ish exposures, it’s got nothing on a tripod for any shutter speed longer than about one quarter of a second. If you or your subject are moving, and especially if you’re using a long or heavy lens, a monopod may be for you. 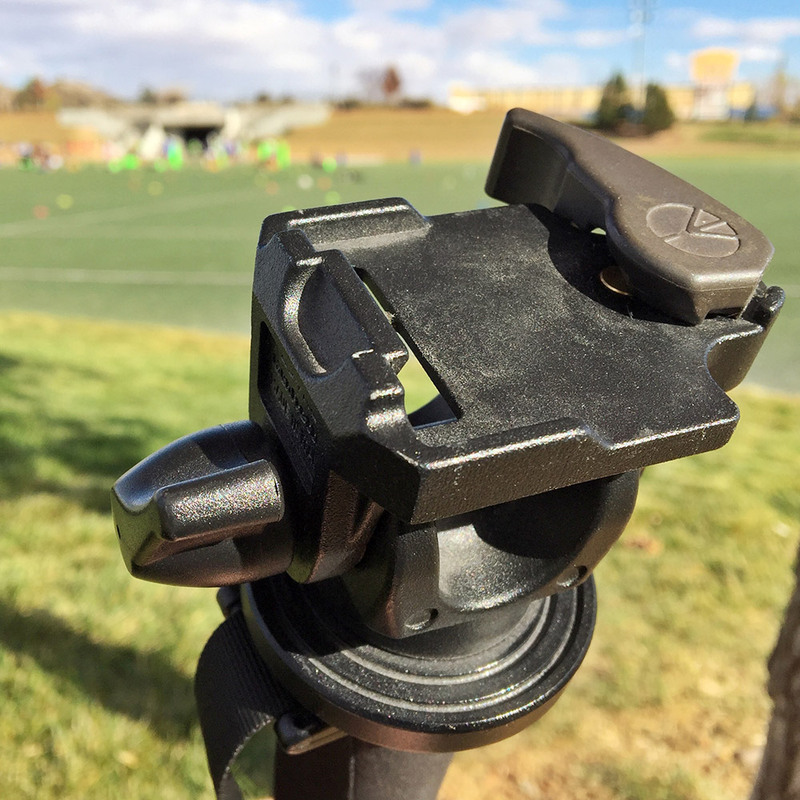 If you’re shooting sports, you’re going to have every single factor in play and a monopod becomes essential. “I couldn’t shoot sports without a monopod,” Cross says.